All of the suggestions below are doable in a day. A couple of them you should definitely think about staying over night for if you can (to see absolutely everything), but otherwise, you can be back in time for tea (if you absolutely have to be)! Not only is Poing open every day of the year (apart from Christmas Day! ), it’s not that long a drive from Munich. It also has the biggest outdoor play space I think I have ever seen. 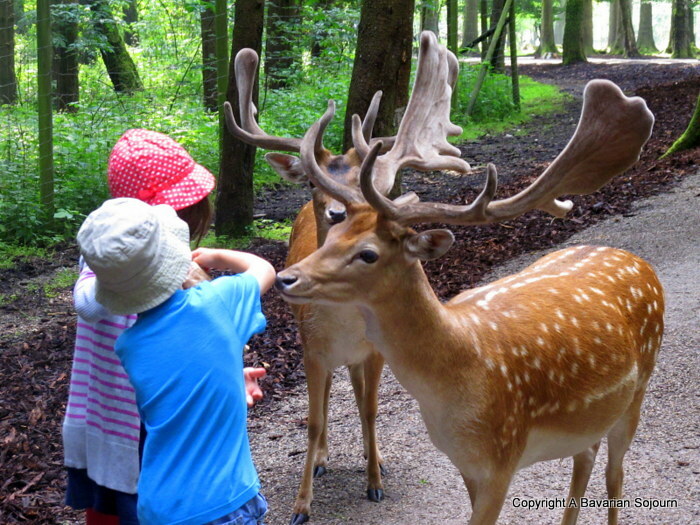 Turn up early, bring a picnic and meet some of Bavaria’s native animals (watch out for the bird displays too!). It’s also a beautiful place for a family walk in the midst of winter, when you feel like you have the whole place to yourselves. Feed the very tame resident deer that wander the forest (bring hand sanitiser, there are plenty of animals that you can feed here beside deer!) and spend the whole day enjoying this lovely place. If you are newly resident in Munich, you should just invest in a years family pass for this place anyway (can someone let me know if the Tree of Doom is still there please? We still laugh about that from time to time! )… Great for all the family. 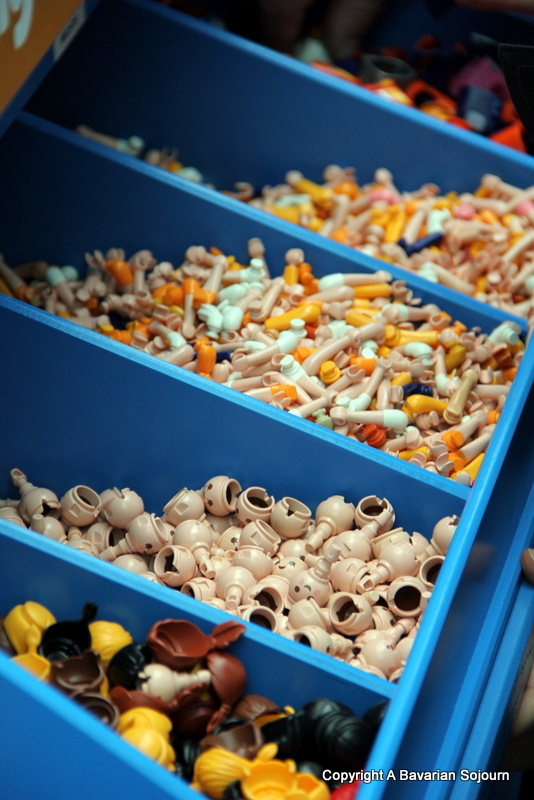 Not that many people outside of Germany know that Playmobil is actually Bavarian, so what better place to take children where they can spend the day amongst these iconic playthings that a lot of us also grew up with? There aren’t many rides to speak of, Playmobil Land is all about imaginative play (as you might expect!). There are however Playmobil themed playgrounds a plenty, plus piles of the stuff to play with in the giant indoor play centre (making it a great rainy day option!). You can even design and build your own figure to take home! Parents will appreciate the huge savings in the amazing shop as you leave (the Alpine themed Playmobil makes a brilliant Bavarian Souvenir, I bought one for me!!). A great day out (best for smaller children!) and open all year around! Perfect in the winter for skiing, but this was one of our favourite places to explore in the summer months. 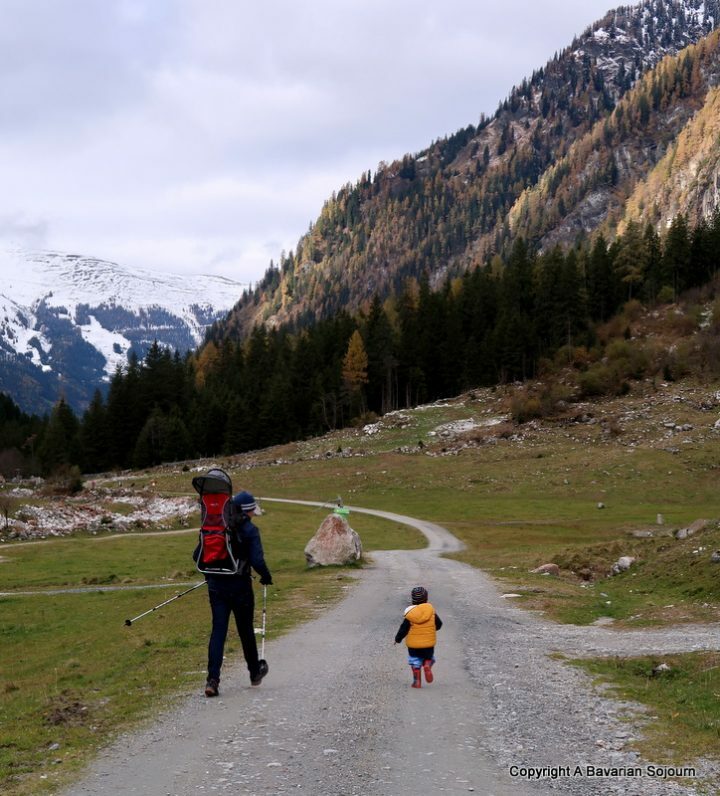 Take the cable car up to Hohe Salve where not only will you find one of the highest churches in Austria at 1829 metres above sea level, you will spot your first witch and she makes quite a good climbing frame. Take the next car up to HexenWasser where the witches await. This nature playground is based around the folklore that snow is “feathers” from witches shaking their beds high in the clouds! The witches live here, and you are now in their territory! There are bogs to squelch through and barefoot paths a plenty, natural climbing frames and pools to paddle in. There’s plenty of water-play so bring spare socks and maybe a towel or two. The Hexnalm makes a great spot for lunch. Good for all the family, especially if you chuck in a bit of hiking to the mix too!? Opens each year in May. 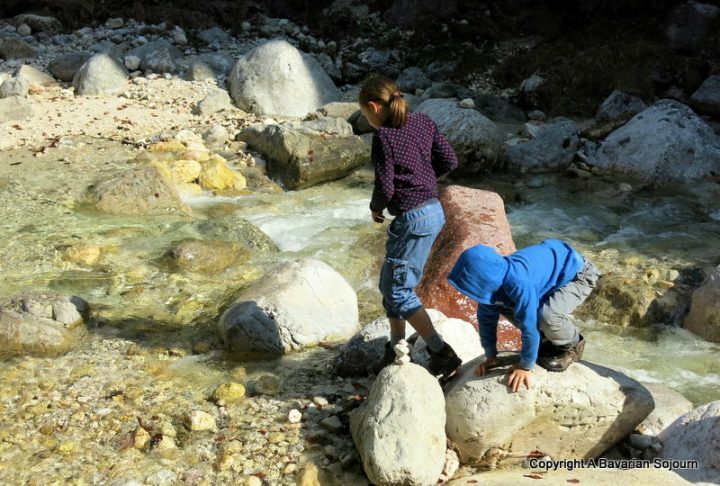 The Almbachklamm is a great place for a hike with slightly older children, and if you are super lucky you might spot one of the rare black and yellow fire salamanders that live here too. The paths through the gorge that the water has carved over the years are beautiful (if not slightly precarious at times! ), and there are options for much more challenging walks if you like that kind of thing. 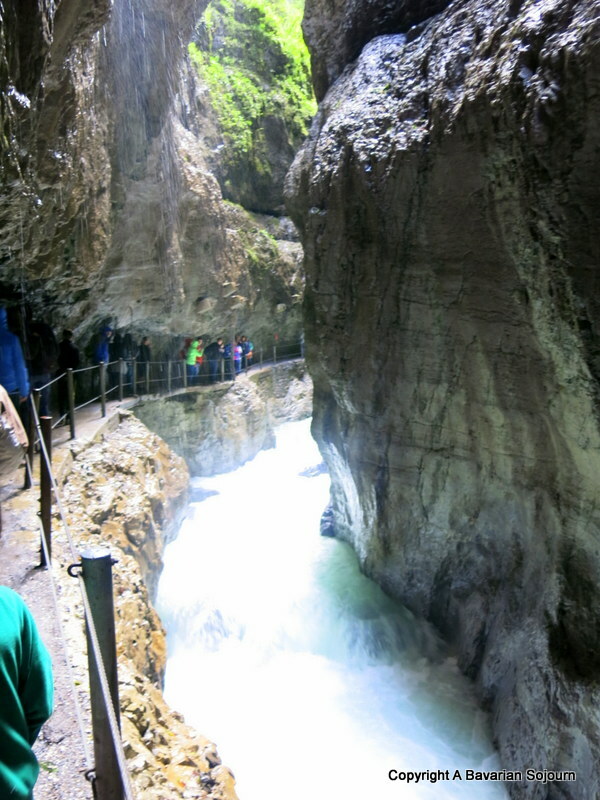 Almbachklamm is also known as the Kugelklamm as the water was used to shape stone in to marbles and canon balls – you can still watch the process today. There’s a small gift shop in case you’ve previously lost your own marbles… The Gasthoff at the start of the walk close to the car park is really good and is a lovely setting for something to eat after your exerts… Probably best for older children given the proximity to the water etc. Better known than the Almbachklamm above, and also famous for the Winter Olympics (and THAT ski jump featured in the Eddie the Eagle film! )… Garmisch is a pretty little town in its own right. Lunch at one of the many gasthofs or cafes was a favourite pastime of ours, before embarking on a walk through the spectacular Partnachklamm and beyond. It’s a stunning place to walk whatever the time of year, but in Winter it is quite otherworldly (wear decent snow boots with good grip though, it can get slippery)… The Partnach is probably best for older children, although I have been in the summer months with a baby in a backpack – I would NOT recommend that in the Winter! If you are looking for a super family friendly hotel here as an extra special treat, you absolutely have to stay at Schloss Elmau. You can thank me later. A slightly longer day out that would appeal to those from 8 upwards really. Rothenburg is straight out of a fairy tale with its cobbled streets and turrets (it’s a walled town and you can walk around parts of the top of the wall!). Those of you who watched Chitty Chitty Bang Bang as a child will definitely recognise parts of it from the film! If you have Christmas mad children then there are various Christmas shops (and even a Museum that’s worth a visit!) that are open all year around, and you should definitely partake in the regional speciality – Schneeballen whilst you are there! Older children with slightly morbid interests will definitely enjoy Rothenberg’s Kriminal Museum. Look out for the masks you would have to wear as a punishment for gossiping or drunkenness in days of old. 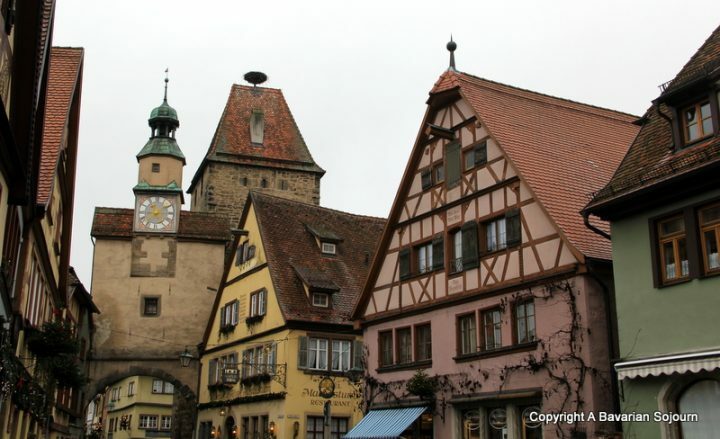 If you are staying for a night or two, definitely go on a walk with The Nightwatchmen – he’s very funny and the tour is interesting and full of Rothenburg facts. Completely suitable for those aged 10+, or younger if they don’t mind walking and listening to a lot of history! Really beautiful at Christmas as you might imagine… We loved Hotel KlosterStueble if you are looking for a recommendation for somewhere to stay! 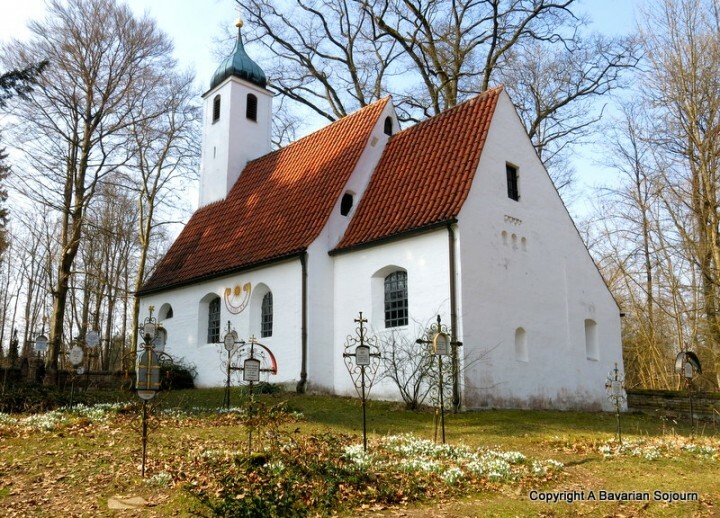 One for the whole family, an easy drive from Munich on the other side of Freising. This huge area of land has been planted with trees and plant specimens from across the globe and is a wonderful place to spend a day exploring. Look out for the barefoot paths in the summer months, and the tiny chapel in the woods is worth seeking out if you can find it (it’s not open all that often, but they hold a Christmas service here which must be lovely to watch as the setting is just otherworldly). We used to love visiting Weltwald in the autumn when the colours of the forest were just beautiful and it’s full of fairytale toadstools! Head in to Freising afterwards for lunch in the aldtstadt – the Weihenstephan Brewery was always a huge favourite place for lunch with our kids, the schnitzel und pommes here are really good. Another Freising Favourite. 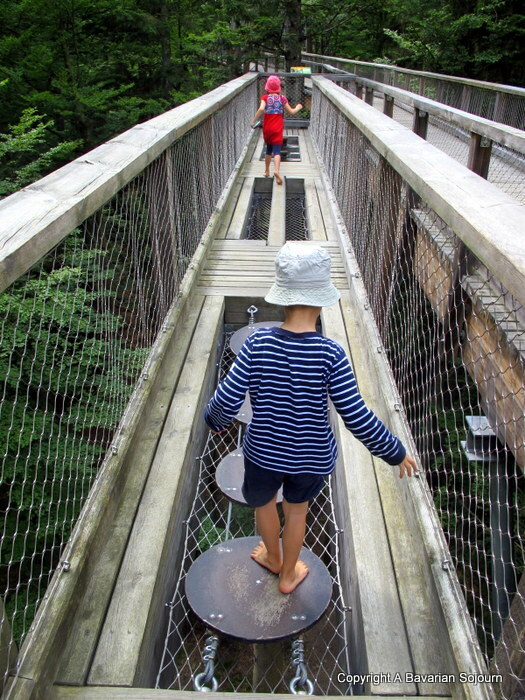 3.5 kilometres of forest adventure paths to explore, complete with a beautiful forest biergarten (with playground – naturally! )… A frequent haunt for us in the height of summer when the shade of the chestnut trees was much appreciated. Also beautiful to visit in the winter, and when the tiny gasthof makes the most delicious chestnut soup. Bring a football, there’s a small pitch where many a serious England/Germany match took place after a lengthy walk! Known for its amazing carnival celebrations, and of course the infamous cake (I like to sample as many as I can whilst we are visiting! 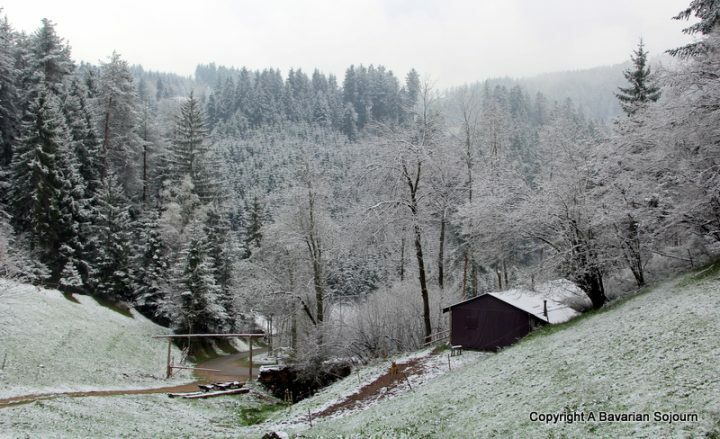 ), the Black Forest really does have something for everyone. Covering a vast area, Freiburg and Triberg are relatively easy for a day trip if you leave early enough. The region includes things like Europa Park (which we didn’t get to, but I have heard good things about! ), you also have plenty of nature to keep you happy, as well as plenty of fun things such as the Biggest Cuckoo Clock in the world (plus the old Used to be Biggest Cuckoo Clock in the world just up the road) to keep small people happy. If you fancy exploring the area extensively, we highly recommend the wonderful Hilserhof for a brilliant Schwarzwald Glamping experience. Just be prepared any surprise weather!! You cannot complete any extended length of time in Munich without a trip to pay homage to Germany’s highest mountain. As you might expect it’s perfect for skiing in the winter months (there’s a glacier so you can ski long into the season), but it’s a really beautiful day out in the summer months too. There are quite often open air festivals and cinema nights when the weather’s good. 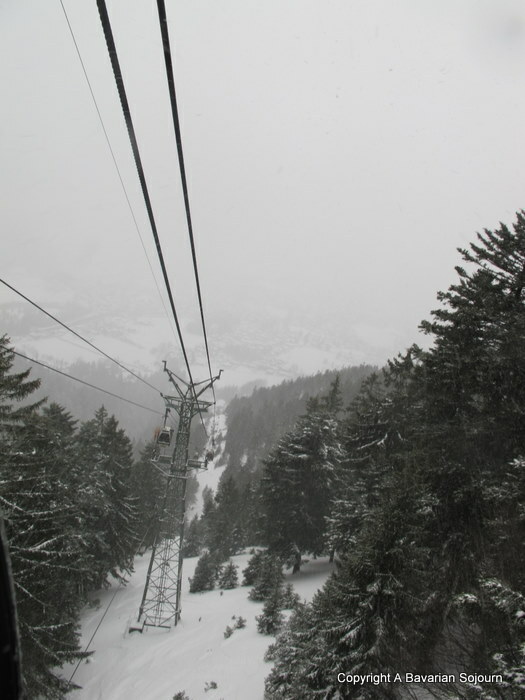 Tiny rail enthusiasts will enjoy the train option to get to the top, but if you are more pushed for time the cable car is spectacular in any event (just don’t look back when you are stepping off if you don’t like heights!). A lovely trip all year round, you can even sleep in an iglu at the top here in the Winter months which I would 100% recommend (probably if your children are over 10 to be honest!) – not many people can say they have done that! PS. a little tip that a Bavarian themselves once told me, go up on the Austrian side (there’s literally metres between Germany and Austria at the top! 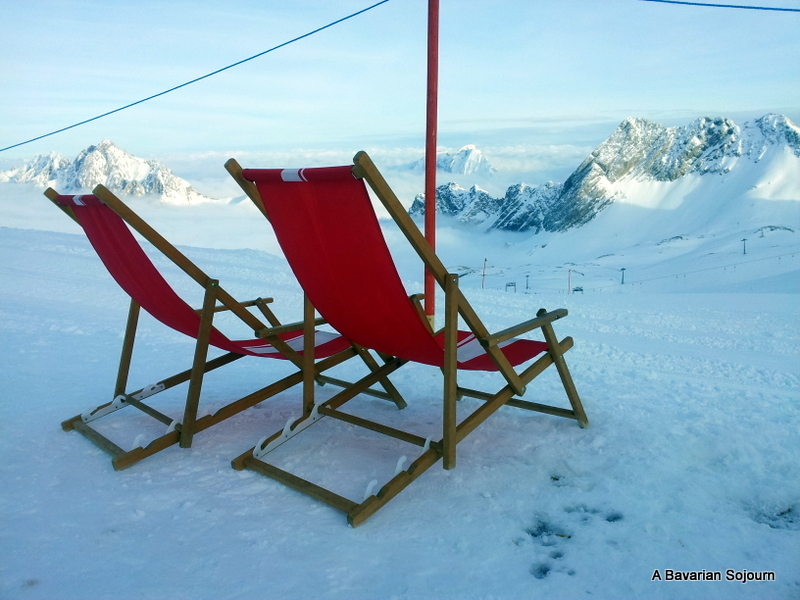 ), it’s cheaper as it’s not Austria’s highest mountain!! 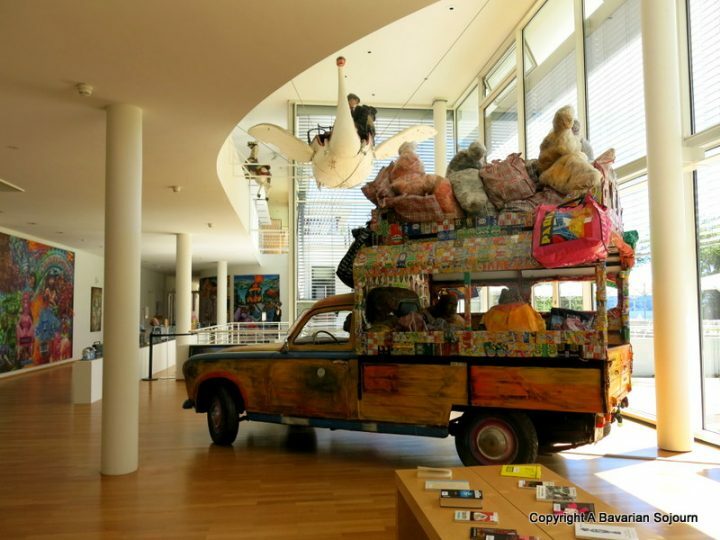 On the banks of Starnberger See has to be one of my favourite art galleries of all time, and a child friendly one at that. 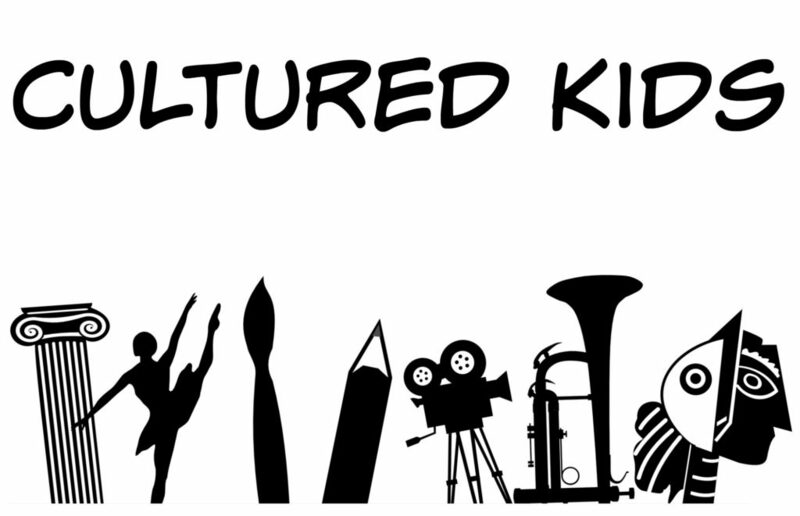 There’s a huge children’s workshop (check the website for times of classes! ), lots of the exhibits are fun (the sculptures featuring old fairground rides, and the moving benches in the main gallery for example), the grounds are lovely to explore, plus there’s a great restaurant. If you are visiting The Buchheim in the summer months you could always jump in the lake afterwards (and there’s a gallery boat that’s as equally as weird and wonderful as the gallery if you don’t fancy getting wet! 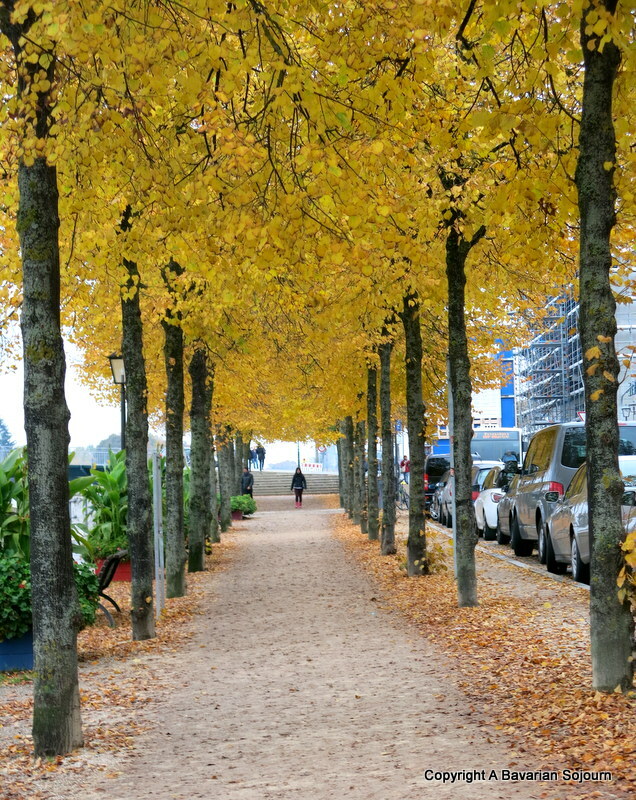 ), but my favourite time of year to visit is definitely in the autumn when the trees are a work of art in themselves. Regensburg is Bavaria’s fourth largest city and just an hour and a half away from Munich. At 2000 years old, it’s also one of Germany’s oldest, with Roman walls to be found ready for inspection beneath city car parks… Children will enjoy a walk alongside the Danube and through the many parks Regensburg has to offer (see if you can find our favourite toadstool cafe!) before finishing up at the Historisches Wurstkuchl for a well-earned Bratwurst Dinner. Regensberg is also home to one of Germany’s most beautiful Christmas Markets. 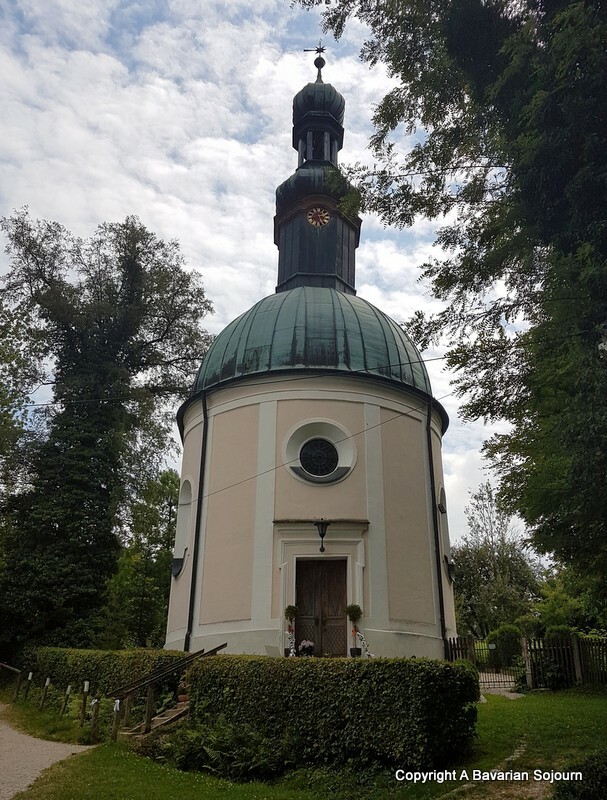 Close to Regensburg is Weltenberg where you can take the boat to the oldest monastery in Bavaria (if you have a super energetic family, the walk there is also lovely, and takes a little over an hour! 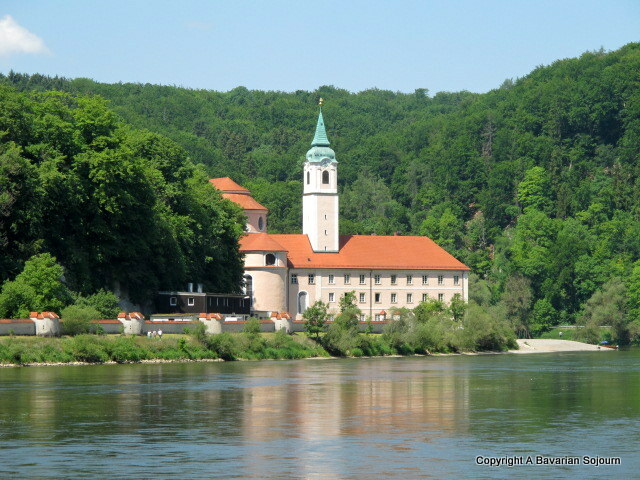 )… The boat takes 40 minutes to reach Weltenberg Abbey, and you pass plenty of strange rock formations and listen to many historic tales as you float down this picturesque stretch of Danube. The Biergarten at the Abbey is a lovely place for a leisurely lunch, but you absolutely must pop in to the Abbey itself – ignore any moaning from the children, even they will appreciate the beautiful gold Assam Brothers interior, and the life-sized statues of George and the Dragon. Bear in mind that thanks to the strong current, the boat journey back is only 20 minutes. When you see the pictures of clear blue Bavarian lakes that don’t actually look real, the chances are you have probably looked at pictures of Eibsee, just 9 km from Garmisch. The colour of the lake here is quite ethereal and makes for some good lake swimming. Pack up the car and spend the day, start with a walk around the lake and up in to the forest, before a quick swim and lunch at one of the lakeside gasthofs/biergartens. I don’t think you can get fresher stecklefish (barbecued fish, a biergarten speciality! 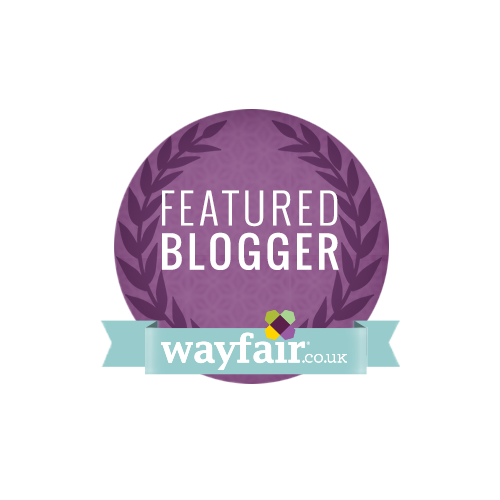 )… We always spotted plenty of wildlife here too which went down well with the small people. A really lovely day out for all the family. Naterersee is the most wonderful Austrian camp site (so not strictly a day out, although you can actually buy passes to visit for a day and swim in the lake!) We had a tradition that on the last day of school we would pack the car and head here for a few days as it really is child heaven, and probably the prettiest campsite we have stayed at so far with it’s beautiful mountain backdrop. You can take your own tents, or book safari tents or static mobile homes like we did. The lake is beautiful to swim in, and the restaurant a great place to relax on an evening. 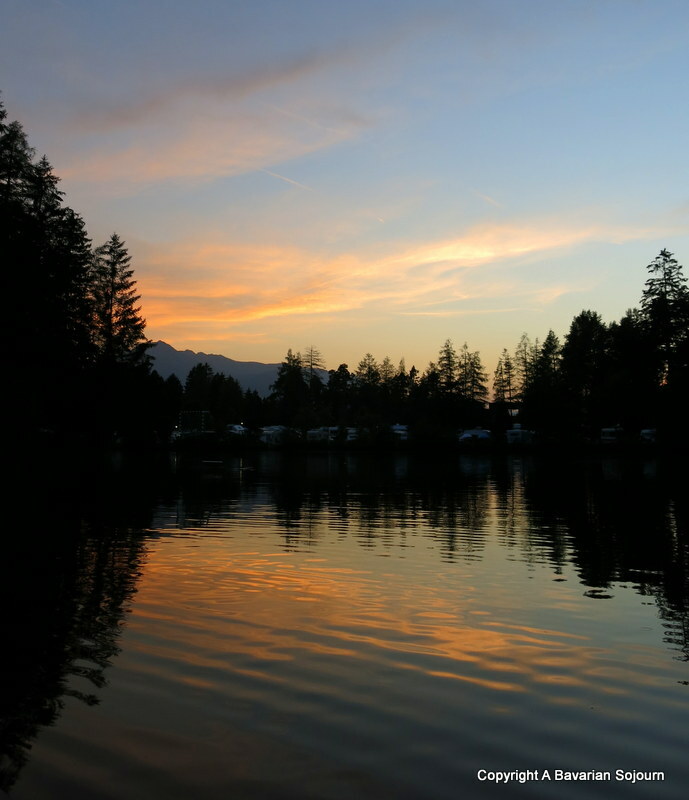 We will continue to visit Naterersee as a family despite not living “up the road” anymore… It’s also a great base to explore Innsbruck from (it’s just a couple of miles out). You can also stay here in ski season if you are looking for reasonably priced accommodation. 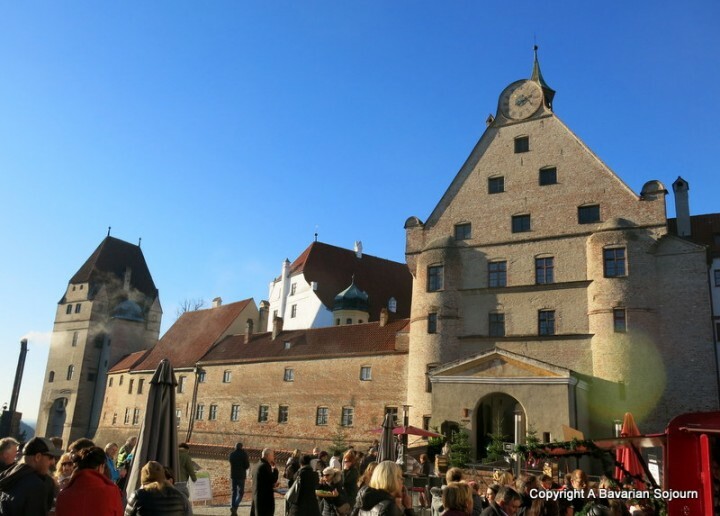 An hour’s drive from Munich, Landshut is a beautiful town to wander around in its own right, but as it boasts a pretty cool looking castle high up on the hill – Burg Trausnitz (complete with bier garten – naturally! 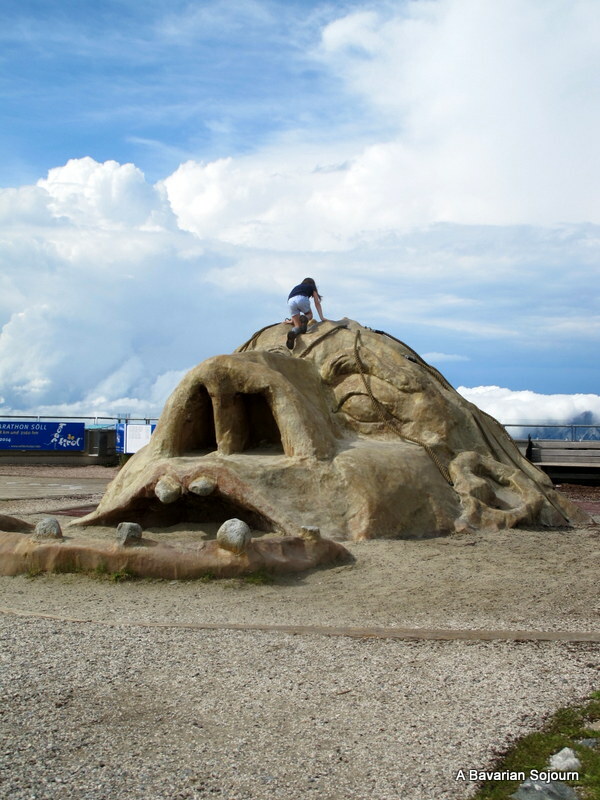 ), it makes a great place to explore with children. 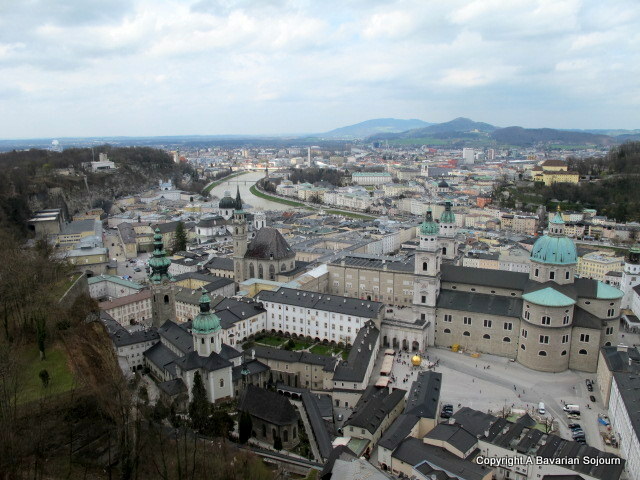 Walk the length of the walls imagining what life was like centuries ago, and look down on the city below. The Christmas Market at Burg Trausnitz and at Landhust itself are both very special. When you think of Bavaria and imagine crystal clear lakes and picture postcard mountain ranges, you could be thinking of Berchtesgaden. It one of those rare places that actually looks how you imagine it to. Konigsee is beautiful in all weathers, a photographer’s dream with all those lake reflections, even on the dullest day. Take a boat across to St Barthomew’s Church, in the summer months you can get off and explore, spend time paddling in the clearest waters, have some lunch before getting the boat back again. If you are lucky, the captain might stop and play the trumpet in the middle of the lake so you can hear the impressive echo (something not appreciated by the small people last time we did this as they desperately needed the loo. Make sure yours go before they get on!). The lake is overlooked by the formidable Kehlsteinhaus (Eagle’s Nest), built in impressive location for a certain dictator who didn’t actually like it due to his fear of heights. You can either walk all the way up by the way (takes a couple of hours) or walk most of the way then get the rather surreal gold and green lift straight up to the Eagles Nest for the beautiful views. There’s also a biergarten where you can wave to paragliders as they drift past. 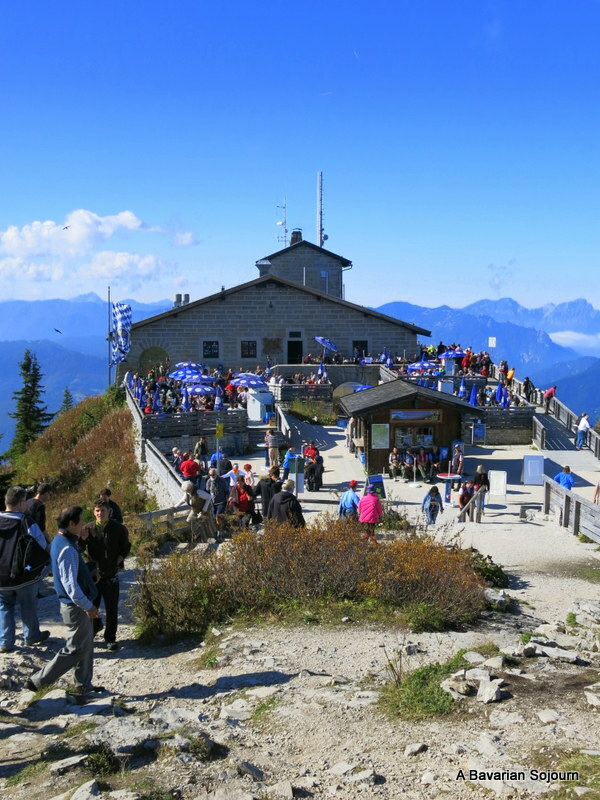 A great hike for kids with a big chunk of history thrown in (plus a schnitzel and chips reward! 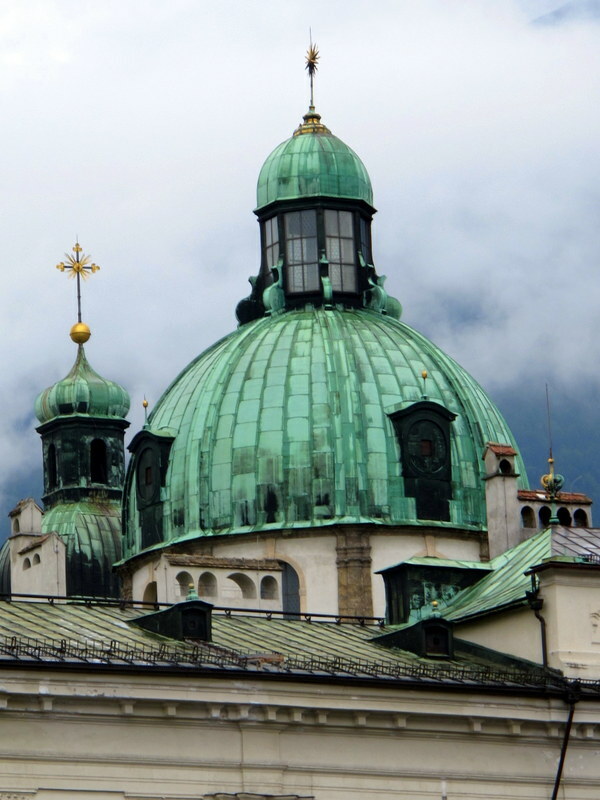 )… I would recommend two days at least in Berchtesgaden, there’s just so much to see and do. Long term readers will know how addicted I am to these kind of places, having spent many hours wandering Copenhagen’s Frilaand Museet. 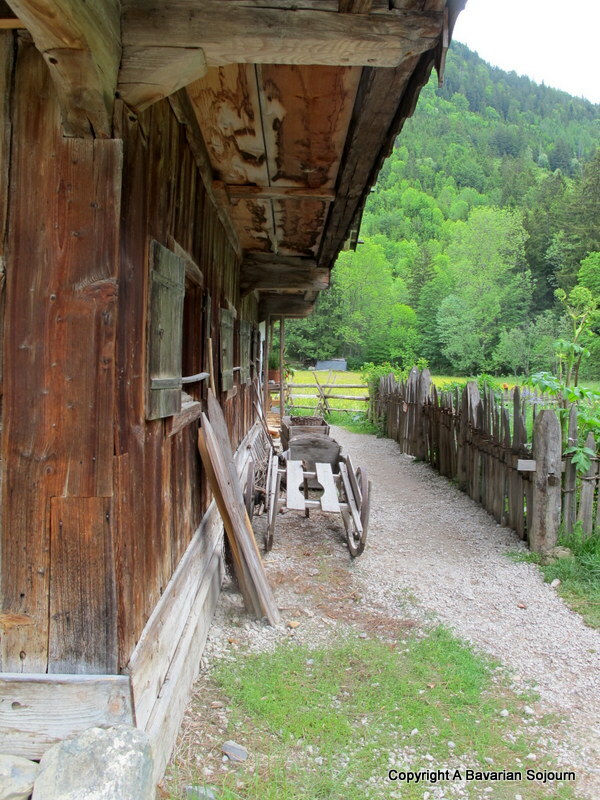 This vast open air museum is the brain child of ex Olympic skier Martin Wasmeier, and the original houses that grace the Freilichtmuseum (accurately depicting life down through the ages) are idyllic, and give you a great idea of what alpine life was like in days of old. 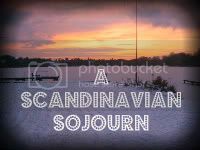 It’s gorgeous at any time of year, but especially around Christmas if you happen to be in the area. Kids of most ages love it, and for any husbands that might not be so keen it also has an ancient working brewery. Just up the road from Schliersee. 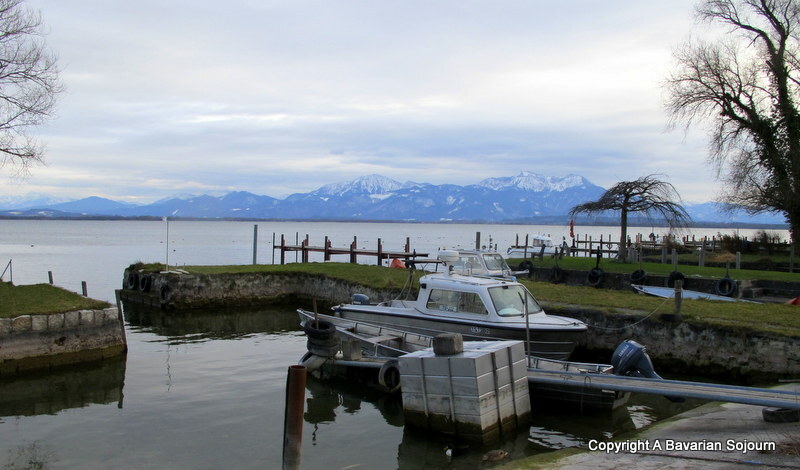 Chiemsee is the second largest lake in Germany, and is also Bavaria’s smallest municipality. The lake itself is wildlife sanctuary, and famous for its water sports, and other activities. Our kids loved it as a make shift beach and in the evenings you often see hot air balloons take flight over the lake. There are also two islands that you can take a boat to, the larger Herreninsel is home to another of King Ludwig’s palaces – this one (which was never finished) is based on Versailles. Get back on the boat and sail on to the smaller Fraueninsel which has a population of 250 and lots of lovely crafts and smoked fish products to buy. The Fraueninsel is also home to the most beautiful Christmas Market – just make sure you get on the right boat on the way back!! 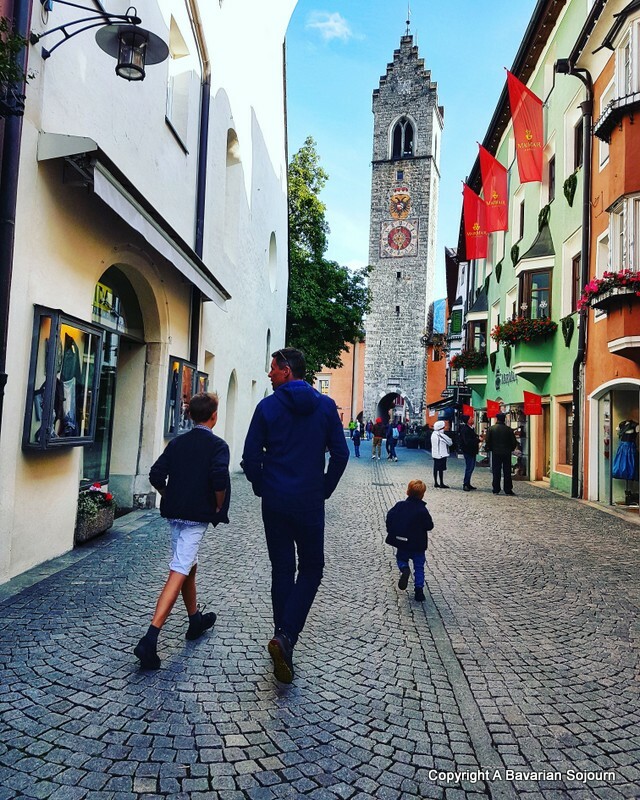 One of the first places we visited as a family when we first moved to Munich, Schliersee is home to Schliersberg, around an hour’s drive from the city in the foothills. As Schliersberg is not all that high, you could technically walk up, but there’s a cable car if you don’t feel that energetic. At the top there’s the most wonderful view, plus a brilliant playground and all important vast biergarten. 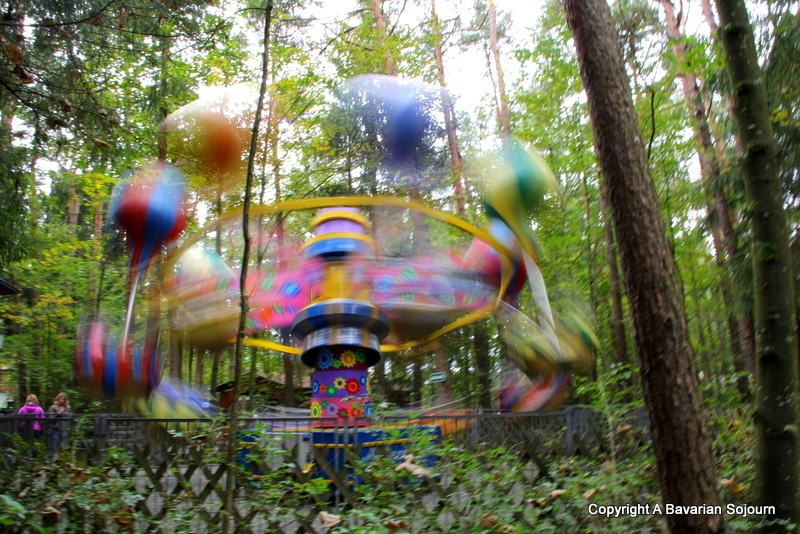 There are also coin operated cars and a forest to explore. And the bit that the entire family loved at the end of the day? 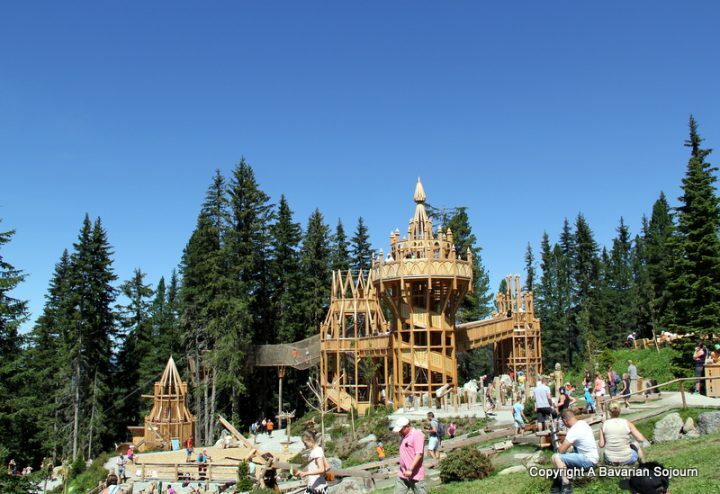 A rodelbahn (a summer sledging system) that is so long that you can take it all the way back down again. A great day out for all ages. As well as its compact and interesting medieval city, Innsbruck is famous for the Winter Olympics, and you really cannot miss the giant ski jump on the outskirts. 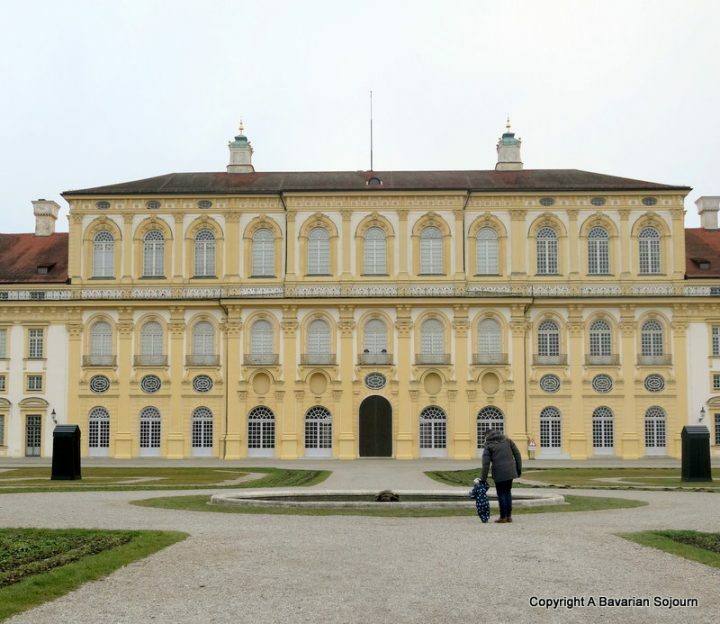 There are a few museums that might interest the children, the Bell Museum, a guided tour of the Hofburg, the Museum of the Golden Dachl inside that famous golden porch. Slightly further out you can find the brilliantly surreal Swarovski Crystal World that will have you wondering whether you have accidentally taken any out of date hayfever tablets again… A sweet city that is worth exploring. Home to Naterersee as well so you really should stay and explore properly! If you fancy going a little further afield, Prague or Czesky Krumlov are in easy reach from Munich for a day. Vienna as well at a real push, although I think you should probably think about staying over to see as much as you can. Trentino is great for a day if you set off first thing and leave when it’s dark, and I have friends who have left Munich at 4 in the morning to spend a day in Venice then driven back at night. The world’s your oyster from there really, well a huge chunk of Europe is!! As with all of these kind of posts, this is absolutely not an exhaustive list. I will probably add to it over time when I remember other places, and if you have a suggestion to make by all means get in touch. Your list looks great! We have a two year old and have run out of ideas what we can do on the weekend. We have done pretty much everything in Munich area. But your post gives us more ideas now. Thank you! Perfect for a sunny days. The kids can play and the adults can enjoy the ice-cream/ drinks. We went also to pick strawberries/blueberries. My kid really loves it. You must! It’s fabulous! :) Thanks Chloe! What an amazing number of things to do. I love it that Italy is just a hop away too! I’m pinning this one for future reference!!! I’ve not been to Munich before but it looks like there is so much to do nearby for families. 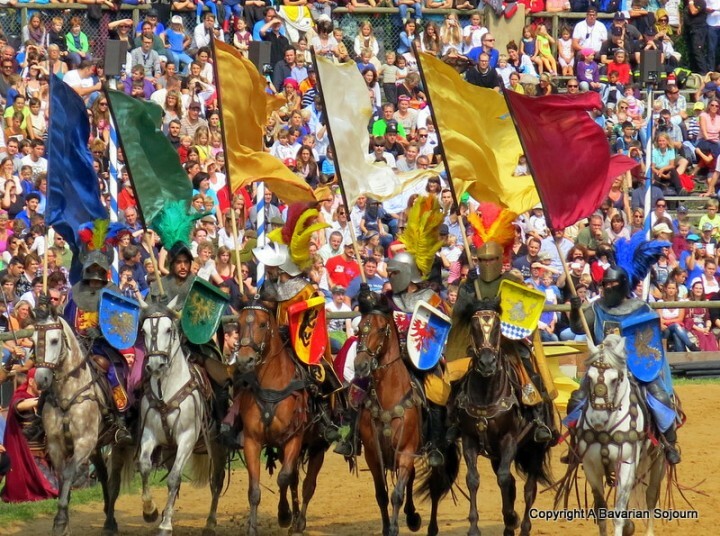 My kids would love Kaltenburg Castle in July – it looks fab! How lucky to have such a diverse range of options on your doorstep! We’re actually off to Nuremberg in a few weeks – and have made note of the things to do there. This post is amazing I hope it flies on google with all the suggestions it has. 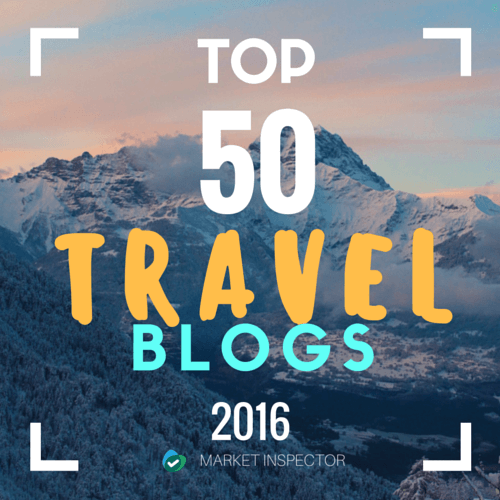 What an amazing list! I had no idea there were so many fun things to do in this part of the world. Personally, I would love to go to Playmobil Land! So many brilliant places to visit! 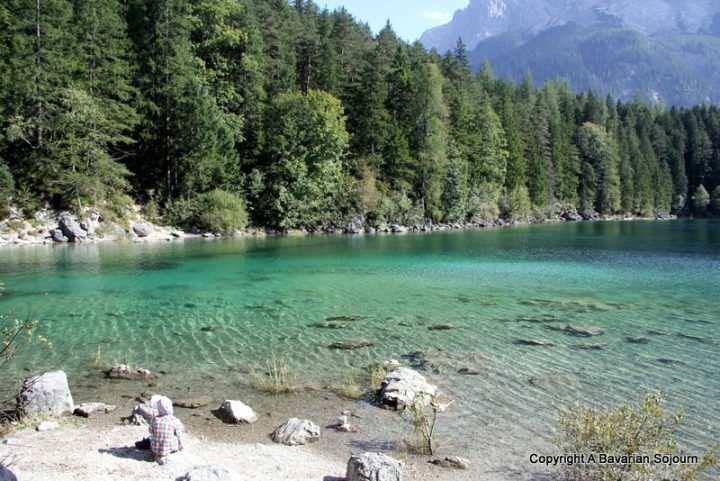 I’d love to swim in Eibsee and my amateur geologist son would enjoy the emerald mine hike. 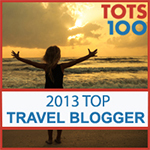 Useful to hear your tips on Legoland too! Wow! 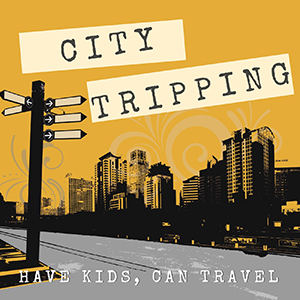 These are some really amazing places, there’s so much to do that will make the kids happy…I kinda want to visit all of them myself. ooh my little lady would love Legoland and also playmobil land. That would make her day! What a wonderful collection of things to do! Imagine being able to access all of these adventures in a day! How wonderful! There is so much to choose from! My children would love to visit Legoland and Playmobil Land. So many goodies on this to-do list! 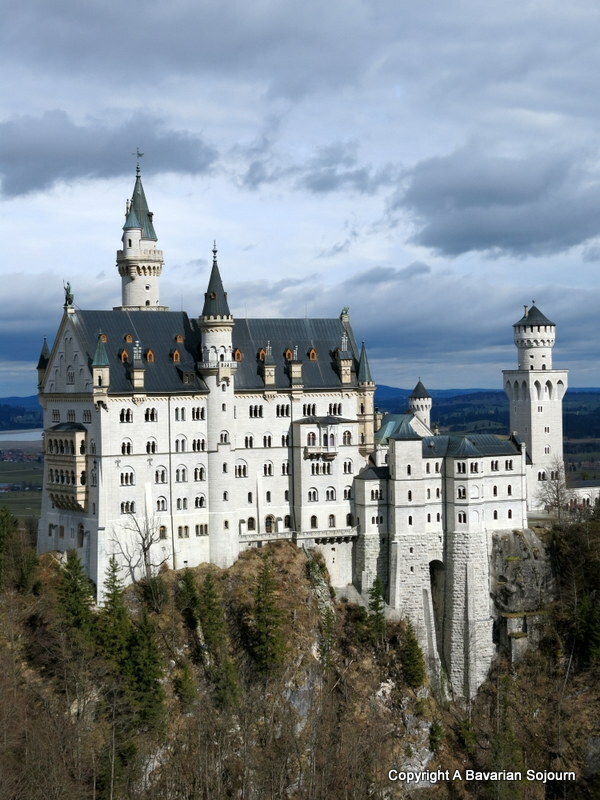 The Schloss palaces are my dream destination, but so much for my youngest to enjoy as well. What an awesome day out guide! I love Munich but there’s so much more to get out of a short break.